An extremely lightweight carabiner with a wire gate and larger opening. Extremely robust, despite its minimal weight. The perfect all rounder. Probably the best value carabiner on the market, similar in weight and same size as the Mammut Wall carabiners but to a better price. Big gate that is easy to clip, much better than the Petzl ange carabiners that is heavier and have a smaller and bad gate. First time I unpacked this carabiner I was amazed by how LIGHT it is! 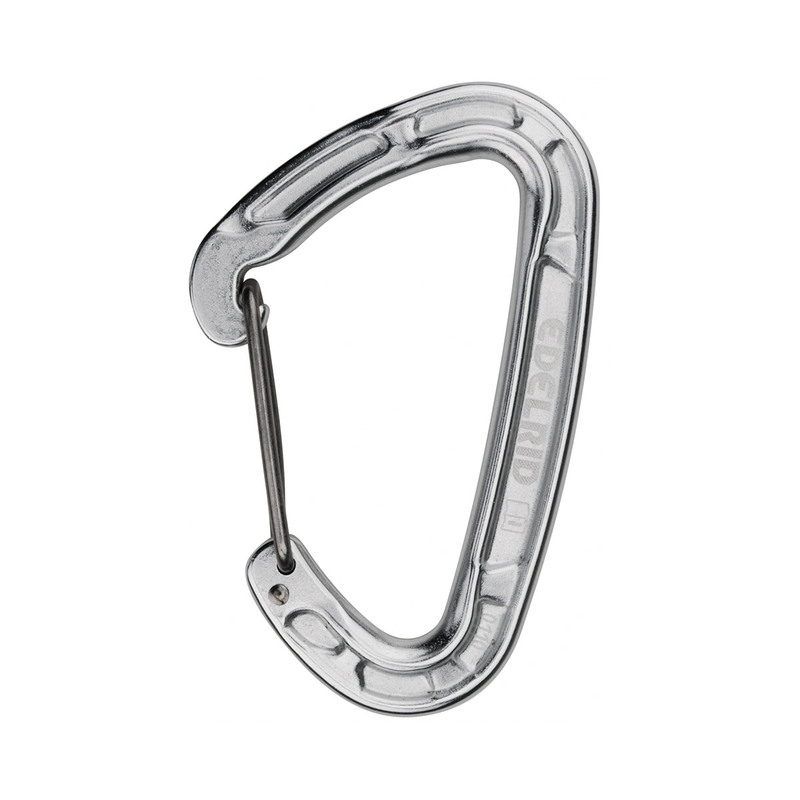 It is just the perfect choice when it comes to build long quick-draws: two of these carabiners + a Dyneema sling. You can't do lighter!